Thanks to my Thai friend, Lita, she told that there was a cafe serving good coffee near the hotel I was staying. Hence I made my way to Size S Coffee & Bakery, just around the corner of my hotel. The cafe is really size S, as in small. It probably can only sit maximum 6 persons. 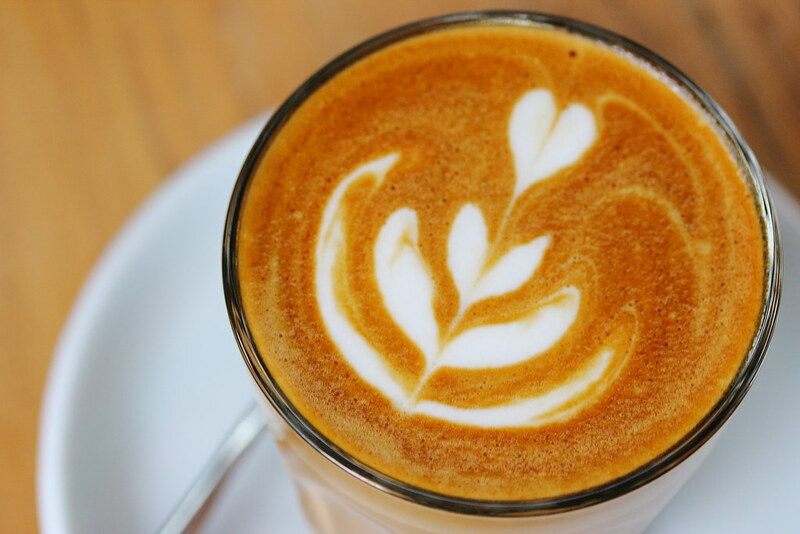 The cafe offers 2 blend of coffee beans. Single Origin Coffee from Colombia and their own Size S Blend Coffee consisting of Ethipia, Burundi and Thai. I had the later for my Latte which is nutty and full bodied. Thailand is known for its hot and humid weather. 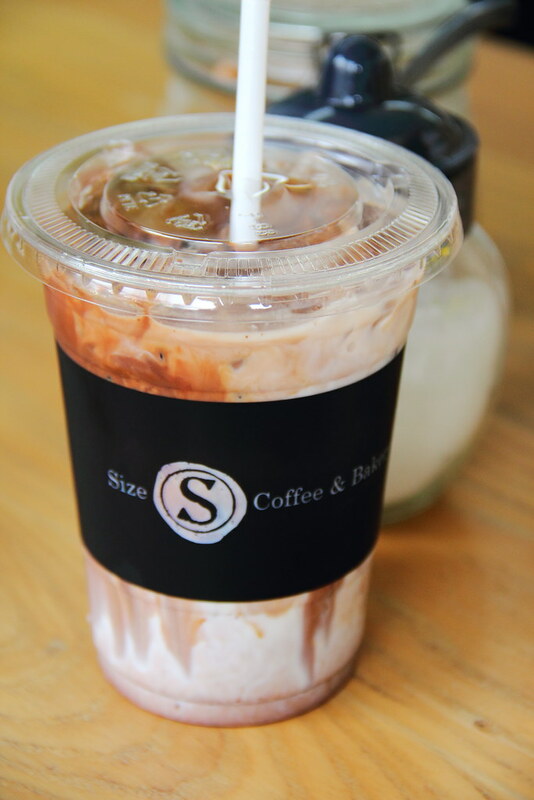 An Ice Latte would be a good choice to cool oneself from the heat. Size S Coffee and Bakery also offers a selection of mini bakes. During my visit, there were some mini macarons, tarts and cakes. 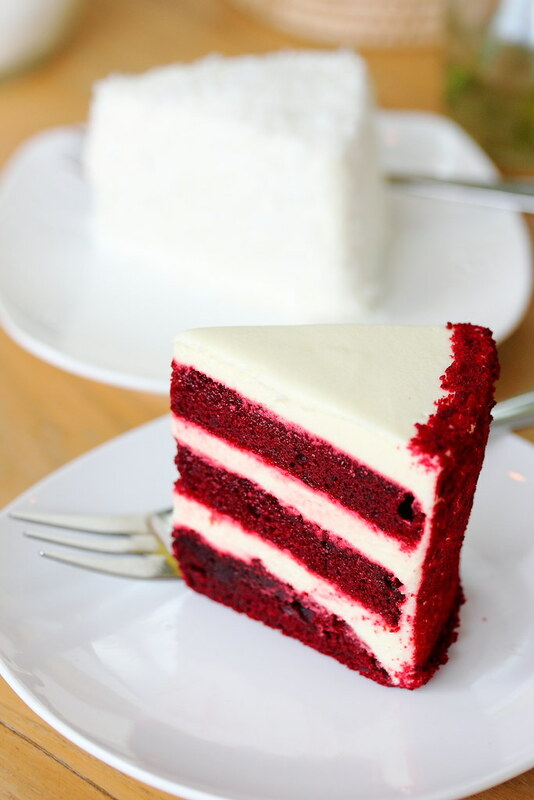 We tried the mini Red Velvet ($55 Baht), which is moist and well balanced. What I like most is actually the mini Coconut Cake ($55 Baht), which is light and moist. 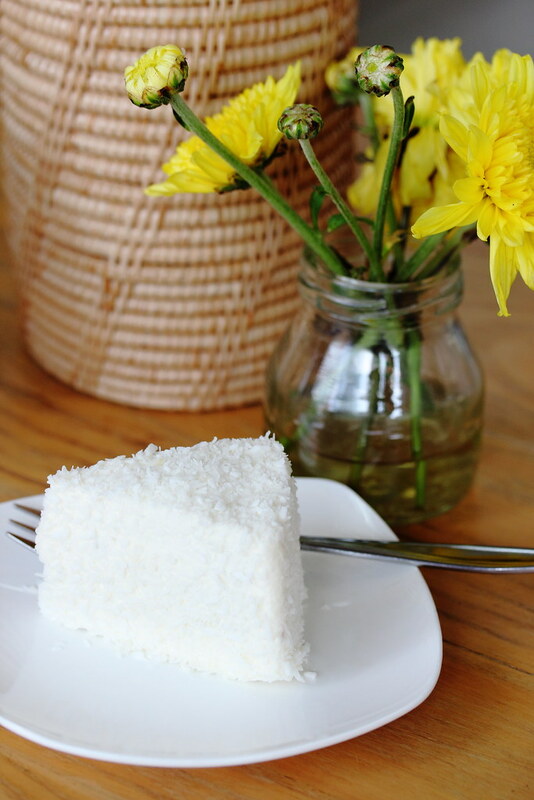 The crowning of the coconut cake is the shredded coconut cake that lifted the whole enjoyment. The cafe owners are really serious in their coffee. 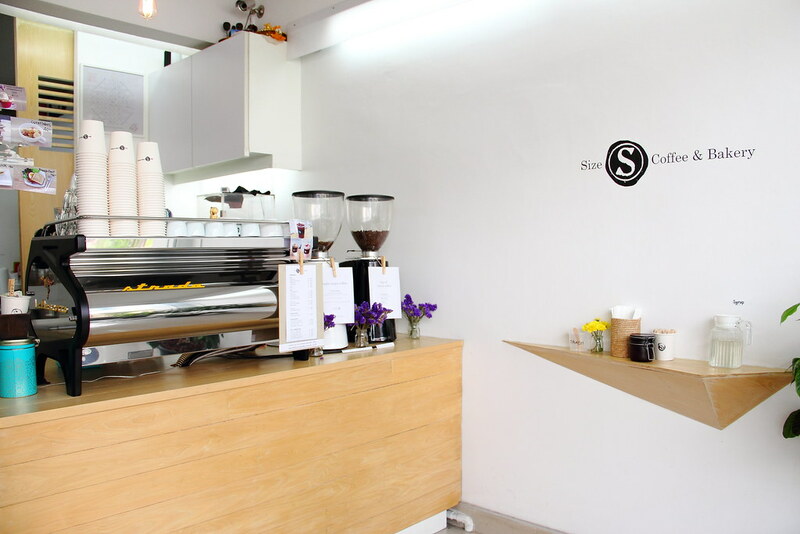 Although the cafe is very small, it brews a cup of good coffee. I actually find the mini bakes rather cute in a way and it would not be too heavy to have for tea break or snack. What is more important, the cakes are delicious.